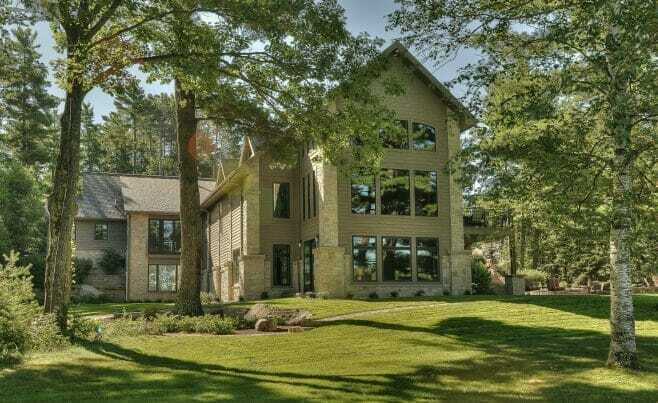 The Minocqua Residence is in Northern Wisconsin. 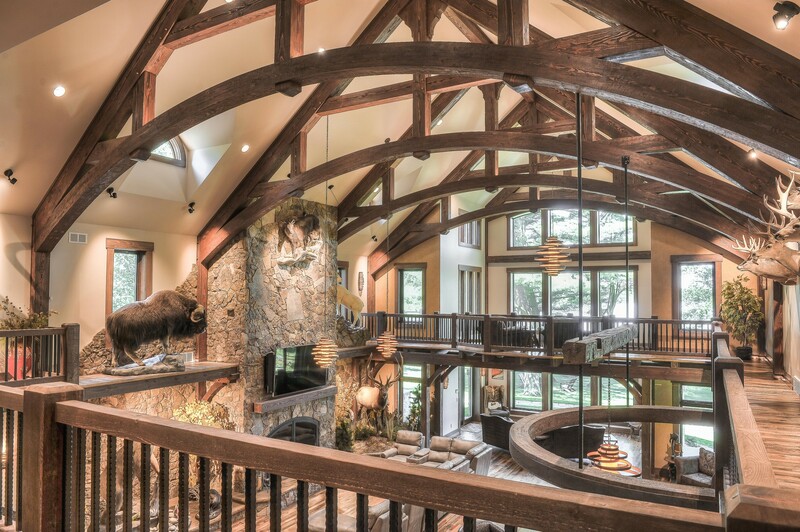 Vermont Timber Works provided the timber frame while working closely with Schultz Building. 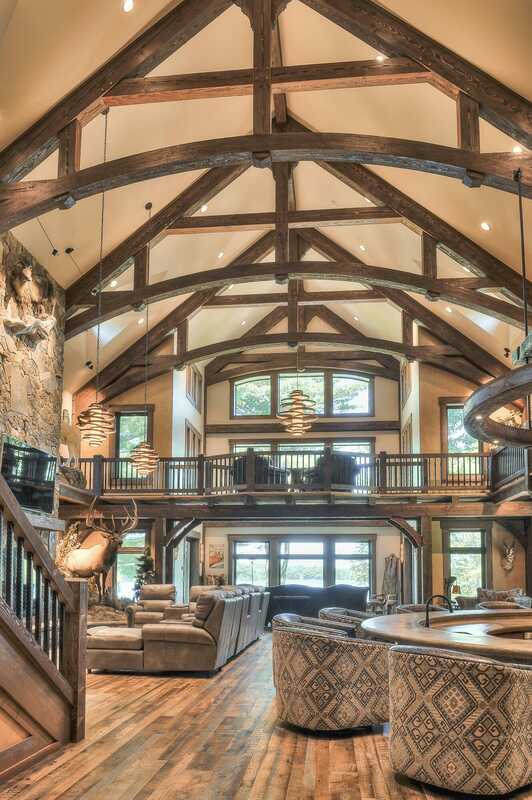 The timber frame for this home incorporates Planed Douglas Fir and Arched King Post Trusses. The Arched Trusses provide the lofted ceiling and give the great room an open, expansive feeling. 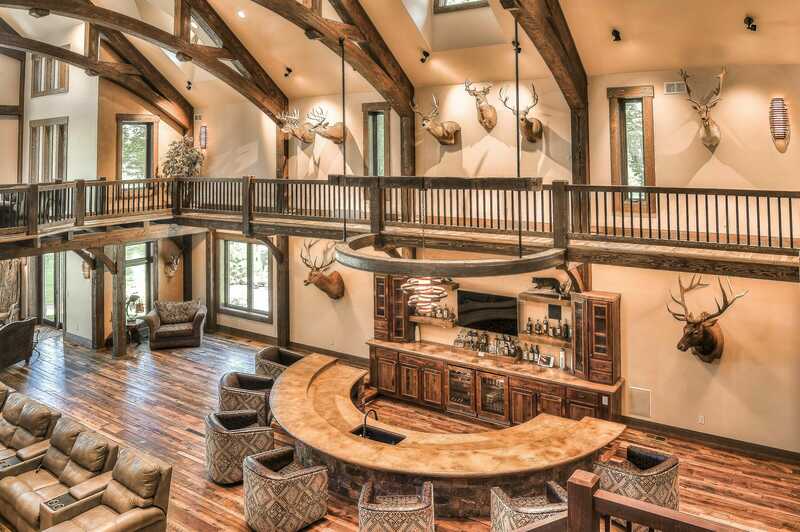 The residence features traditional rustic elements and combines them with a modern elegance that makes for a truly impressive and unique timber frame home. 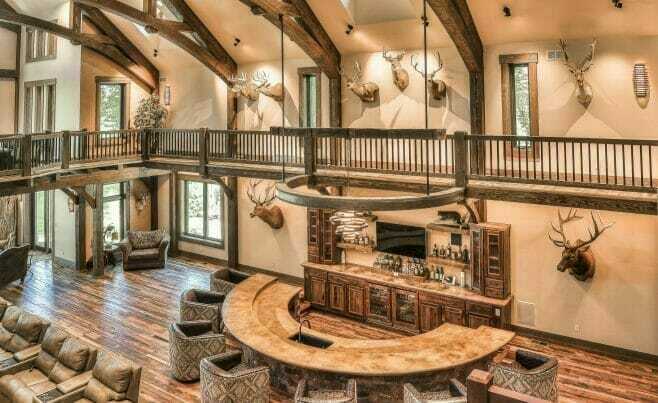 Incorporated into the design, are many sitting and entertaining areas. The large, high windows provide many of these areas with extraordinary views of the natural landscape that surrounds the home. Photographs courtesy of Schultz Building, Inc. 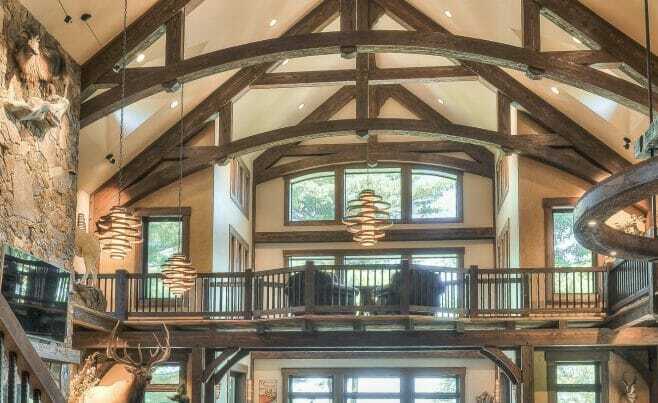 The King Post Trusses incorporated into this frame have a lovely arch that raises the ceiling and make the great room especially spectacular. The height that the Trusses provides also allows the use of many windows which allow a ton of natural light to brighten the room. 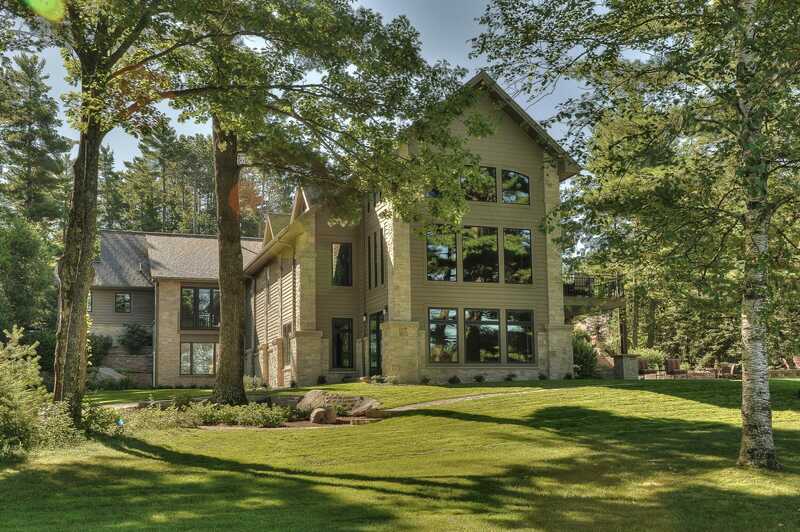 The exterior of the Minocqua Residence features many modern elements combined with traditional and incorporates a lot of stonework. The exterior of the home also features dormers for added windows and light, as well as exterior patios and balconies. Exterior of the Home with patios and balconies.